← Patient Survey: Is your patient receiving quality care? Building a great team means building a system that effectively works. One way of achieving this is to have specifically driven training that will shape the culture and productivity of your employees into the kind of workforce quality and service you would want for your home care services. 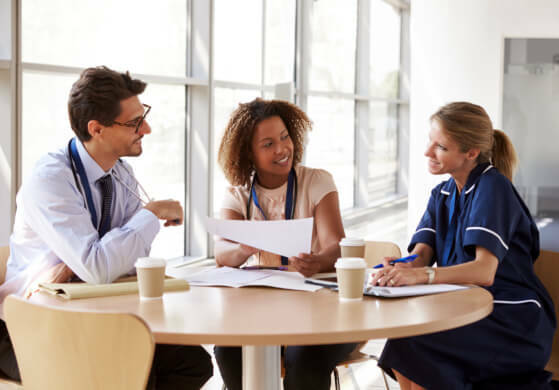 In constituting your team of caregivers, have our Home Care Consultants assess what your team needs in order to tailor-fit the kind of training your teams’ need. On-site training is deemed to be effective in the realistic application of needed home care services when your caregivers themselves can experience the needed care and attention that should be endowed to your dear clientele. When you provide an actual environment where your caregivers can see where they will be working at and the hours they will put into, it lets them become more prepared to how changing home care schedules will be like. Through this process, it is possible to weed out those who are really up for the job. Training on-site can provide a realistic approach to providing home care services to clients with different needs and requirements. An on-site training dynamically moves along with a client’s condition and will apply appropriate training that will improve the quality of care your caregivers will provide each client. When caregivers receive training that will help them better understand their purpose of doing what they are doing, they become aware of their actions and can provide better care to the clients who greatly benefit from their services. On-site training makes caregivers better since it can simulate realistic living conditions where they will soon be working at. The training will prepare them both in mind and body since it provides more knowledge on how they can better carry themselves to become effective caregivers. Training helps identify what the teams need in order for them to perform and become better caregivers to their clients. When our Home Care Accreditation Consultant sees that an agency answers the needs of their caregivers, that agency will be given better recognition, and an accreditation consultant’s impression on that specific home care provider will be positively shared in order to promote quality home care services in New Jersey. Want to get updated on the best home care training and ethics? Send a message to Executive Professional Consulting Services and find out how you can further improve your home care services. This entry was posted in On-Site Training and tagged Caregivers, Home Care Accreditation Consultant, Home Care Consultants, Home Care Training. Bookmark the permalink.